Nordic Walking - nordic walking with the sticks - it is a form of physical activity in which, to the normal and natural walk, the active use of a pair of sticks has on purpose been realized for this discipline. The goal is that to involve the tall part of the body in the ambulant and forward propulsion driving process: the simple walk transforms him so in a complete and more effective physical exercise, since the work of the gaith is distributed in balanced way on the whole body. The Nordic Walking is a physical activity that is practise doutside (in the open air), in all the seasons and in the most different conditions and slopes of the ground: only necessary condition is that the paths have such a width to allow the use of the sticks. It is a proper activity for all: to every age and every physical since adattable condition to the different individual demands/needs. 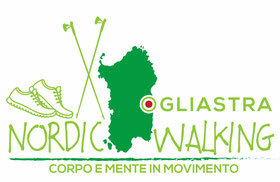 Finally it is important to add, that there are now different studies and scientific tests to testimony of the different effects of the practice of the Nordic Walking.